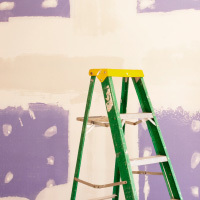 Drywall Technology – Two of the world’s largest manufacturers of drywall were engaged in a high-stakes battle over patents and trade secrets related to the manufacture of drywall. Our experts were retained by the plaintiff to locate and examine highly technical electronic data for the purpose of proving a misappropriation. Our computer forensics expert identified and authenticated ESI which demonstrated spoliation and patent infringement. In a highly complex case lasting over three years significant expert reporting and court testimony resulted in a $105 Million settlement for our client.